Dennis King and Raymond Swanson, both of North Andover, were arrested today in Drug Charges after their car was stopped by Massachusetts State Police on Route 114 in Lawrence today. The car, which was a rental from Lowell, was stopped for speeding. A later search of the car revealed over 30 grams of cocaine. Both men have been charged with Drug Trafficking in Cocaine, Conspiracy to Violate the Drug Laws; Drug Possession with Intent to Distribute Cocaine, and Possession of a Dangerous Weapon and were scheduled to be arraigned in Lawrence District Court this morning. In Massachusetts, the crime of Drug Trafficking involves the knowing or intentional manufacture, distribution or possession with the intent to distribute certain net weights of controlled substances. 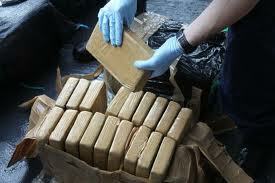 Drug Trafficking carries extremely serious penalties, which vary depending on the ‘weight’ of the drugs seized. For example, someone charged with Trafficking between 28 to 100 grams of cocaine could face anywhere from a minimum of 5 years, to a maximum of 20 years in state prison. In cases involving the Search & Seizure of drugs, whether from your car or home, raises serious constitutional issues that should, at the very least be explored, if not litigated. When charged with the crime involving the unlawful possession of drugs, whether the search and ultimate seizure of the drugs was valid should be challenged to ensure that the officers had the requisite ‘reasonable suspicion’ or ‘probable cause’ to seize the items and make the arrest. Secured a Search Warrant specifically delineating the place to be searched and the evidence that they are searching for. In this context, even if you have been arrested for a Drug Crime, not all hope is lost. They police may have exceeded their Constitutional bounds and violated your Right to be Free from Unlawful Searches and Seizures. If so, you should challenge the seizure and seek to have the drugs suppressed or excluded from the criminal prosecution against you! Boston Criminal Lawyer Lefteris K. Travayiakis has extensive experience in defending Drug Crimes and has successfully challenged Search & Seizure cases in a wide variety of cases. He is available 24/ for consultation on all drug crime matters, including Drug Trafficking, Possession with Intent to Distribute Controlled Substances, and School Zone Violations. To schedule a Free Consultation with a Boston Drug Crimes Lawyer, Contact Us Online or call 617-325-9500.